Earlier this week Lola and her friends went for a little excursion to our local fire station. 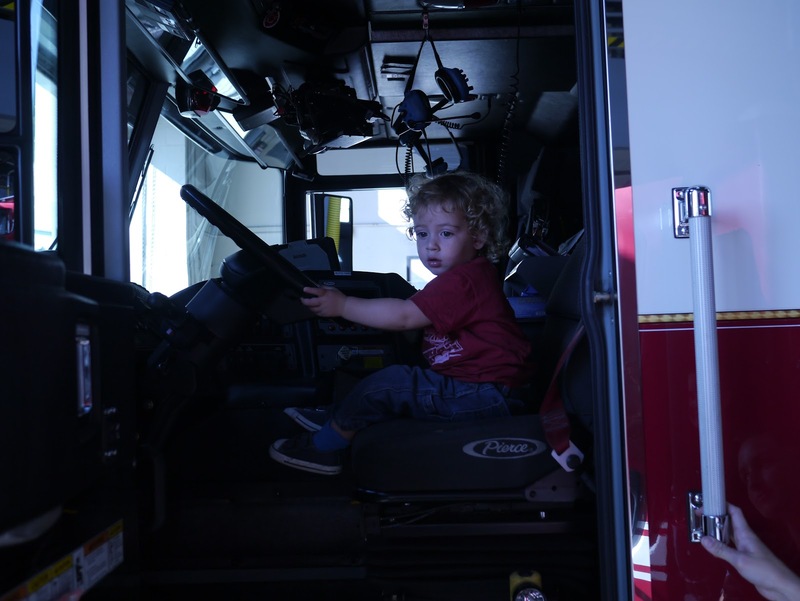 As I'm sure most parents will have discovered, the average two year old is absolutely obsessed with fire trucks. It doesn't matter if they're a boy or a girl, they just love fire trucks. There just seems to be something about fire trucks that holds the imagination of most toddlers. Flashing lights and a blaring siren on a big red truck do tend to grab your attention pretty effectively. 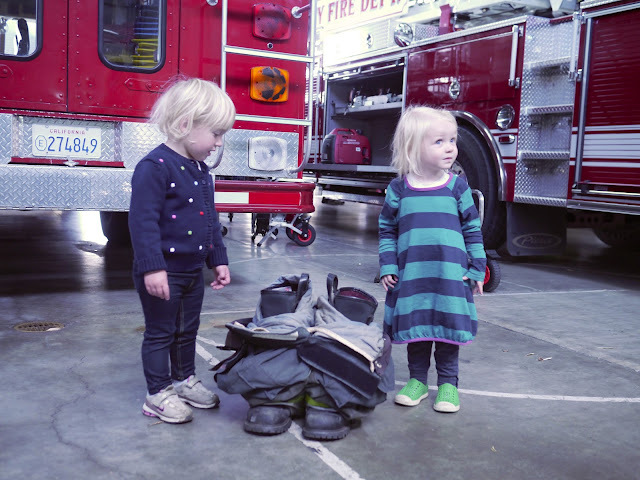 Lola and her friends are no exception to this obsession with fire trucks. 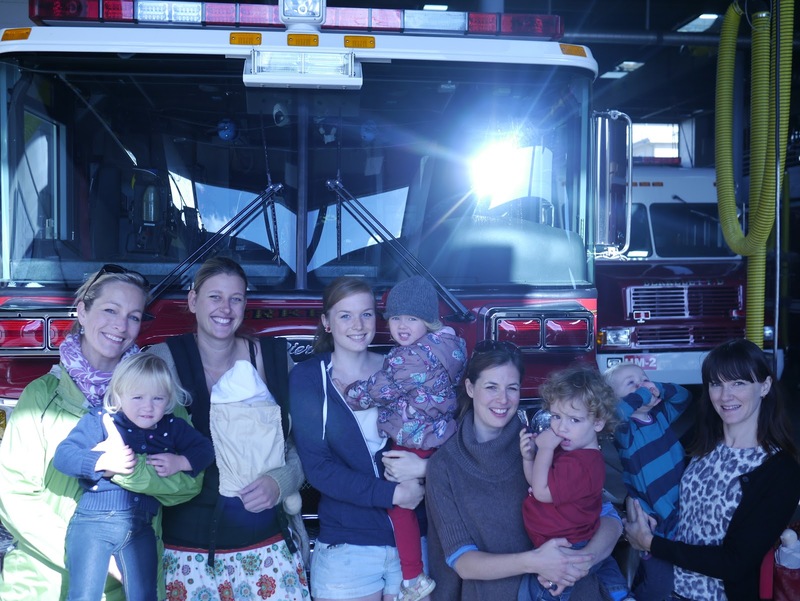 Every time a one goes past (sirens blaring or not) their little heads turn to watch it go by. 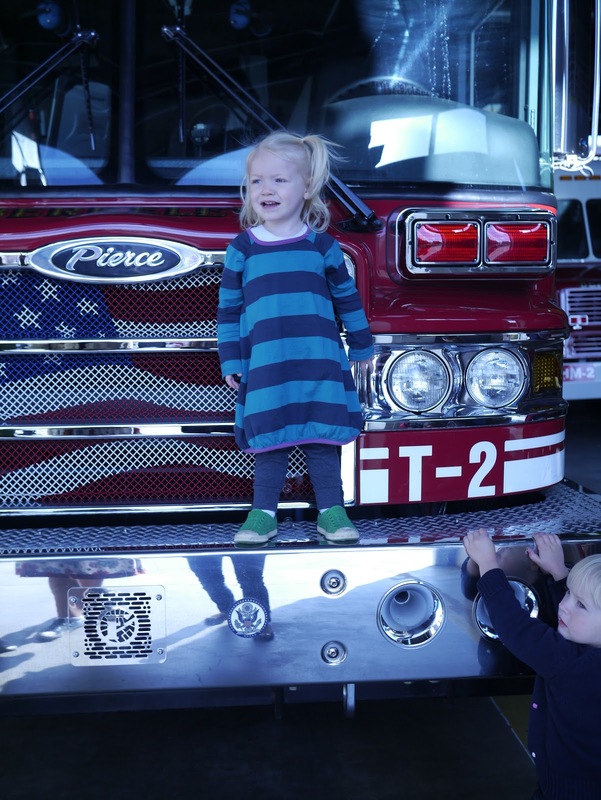 Pretty much every day Lola points out a firetruck while exclaiming "Nee naw, nee naw!" 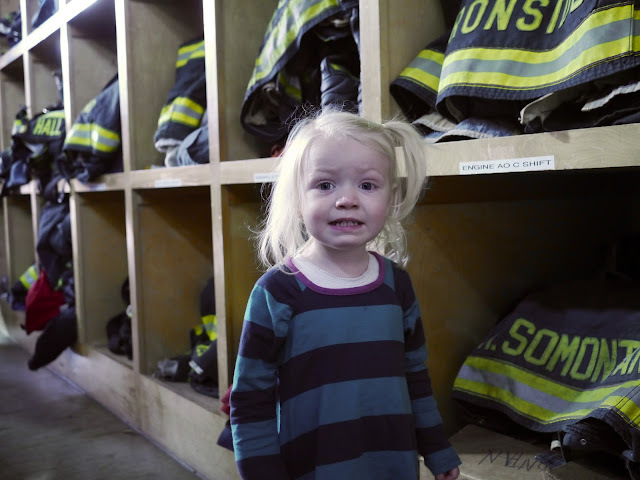 with a look of glee on her face. She can spot them coming well before I do. 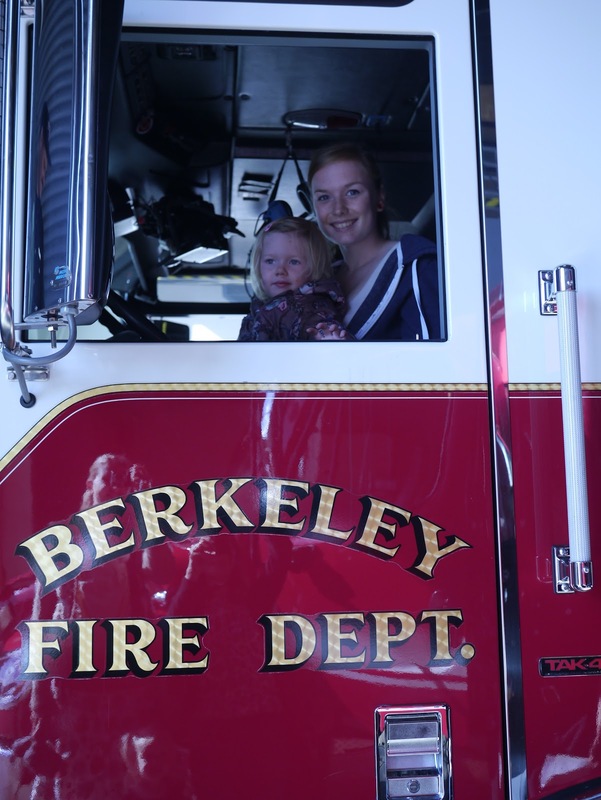 It's as if she's on fire truck alert every time we step out of our apartment! 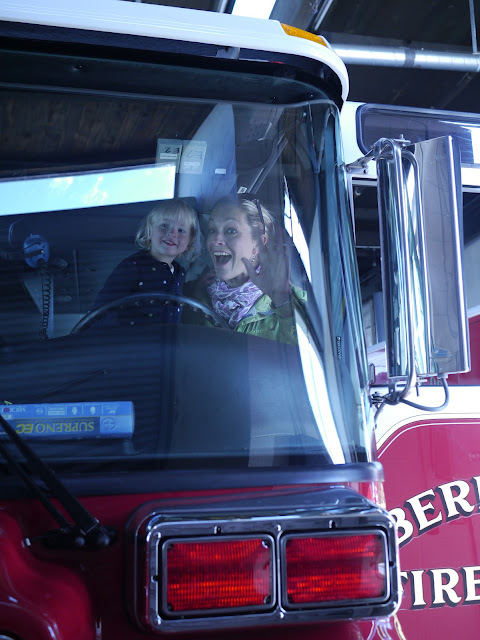 As you can imagine, the kids were pretty excited to visit the fire station and see the trucks up close. 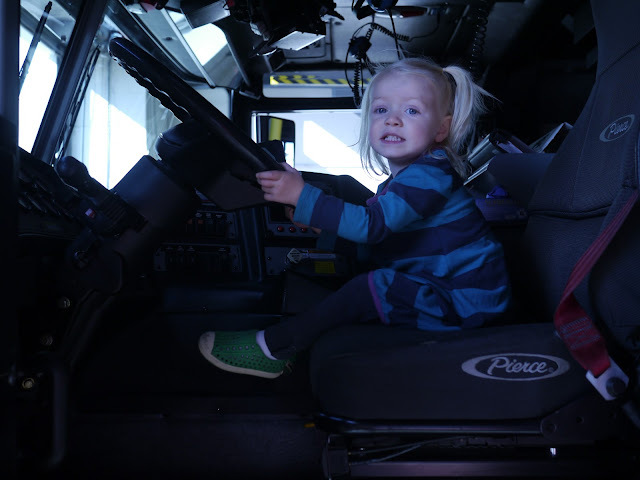 There was a little trepidation at first but they warmed up pretty quickly and had a fun time pretending to drive one of the trucks. 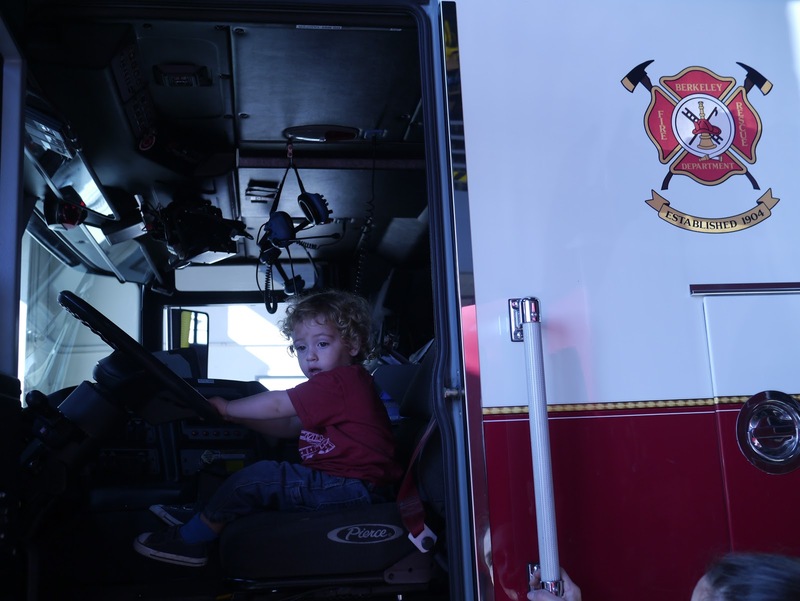 I'm so glad that none of the kids accidentally stepped on the siren pedal as they climbed in and out of the driver's seat! 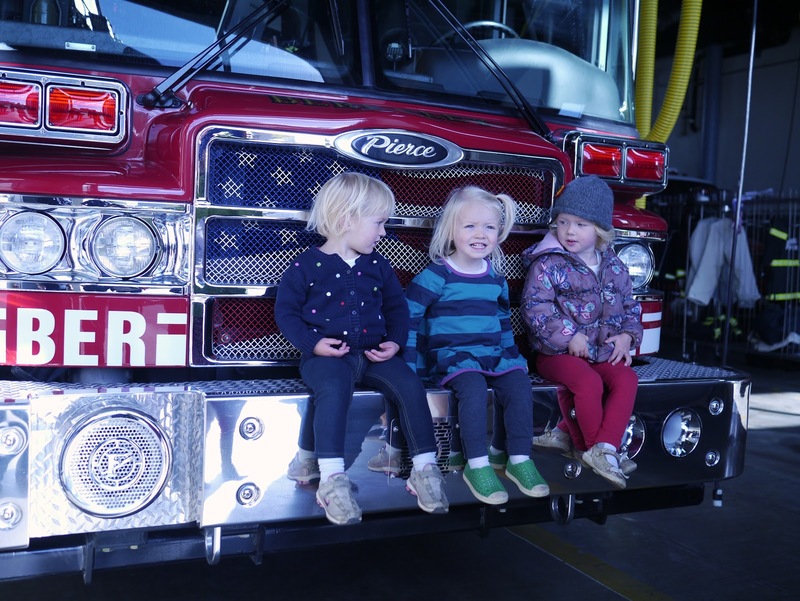 Here's a look at Lola and her friends on their trip to the fire station. 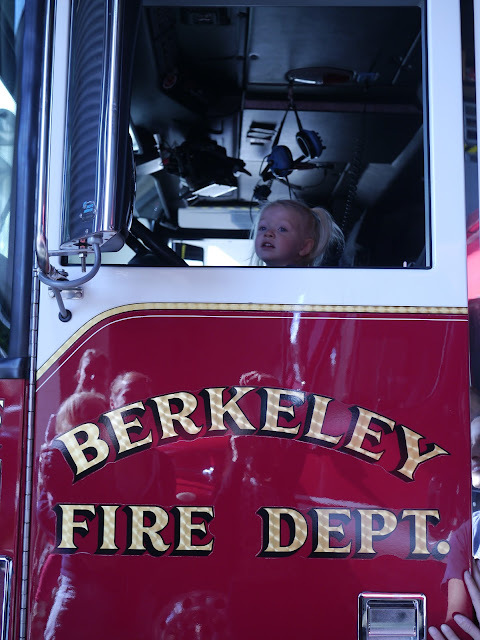 Eden, Lola and Sky: Berkeley's youngest fire fighters! Boots and pants combo all ready to go. Just a little big for Eden and Lola! I can just see out the window! Ava, are you in there? 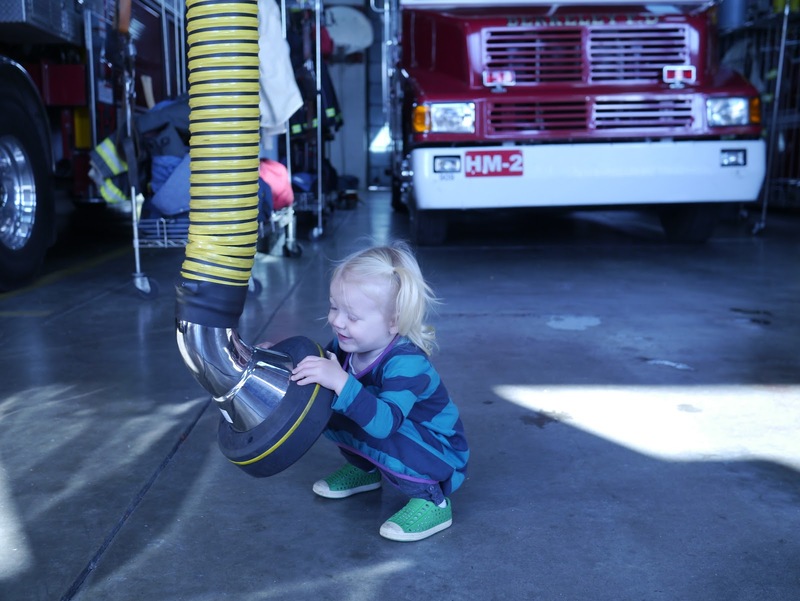 Umm, no Lola... that would be the pipe that takes all the diesel exhausts from the trucks! Thanks to the staff at Berkeley Station #2 for showing us around!